Mini Rich Task this week: Marketing Blackpool. Year 7 showed they were capable of producing some fantastic work last week, the standard of the leaflets were great. The mini Rich Task this week is based around marketing, in particular marketing Blackpool. 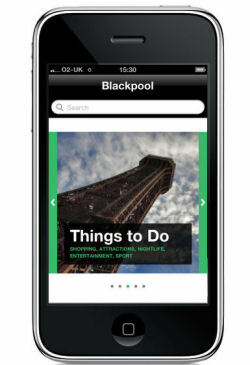 Students will be spending the week researching what the tourist board does to market Blackpool and students will show their understanding of this by designing an iPod app to promote Blackpool. This morning students have been testing some apps and writing reviews on what they think is good about them and how they could be improved. This task is working towards the student’s final Rich Task, which is to present their findings about Blackpool and their community to a group of special guests. This entry was posted on October 1, 2012 at 4:25 pm and is filed under Year 7. You can follow any responses to this entry through the RSS 2.0 feed. You can leave a response, or trackback from your own site. this sounds realy intresting and i hope they do realy well there is alot about blackpool and there is all sorts of fantastic things to write so there apps will be cool.